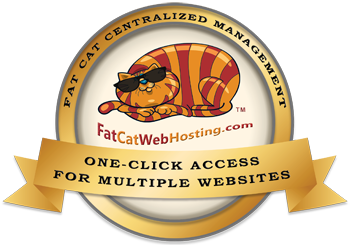 Thank you for choosing FatCatWebHosting.com! Welcome to Fat Cat! You've made a great choice and we want to help you get up and running as quickly as possible. If at any point you get stuck, our support team is available to assist you. Simply email us at orders@fatcatwebhosting.com to request assistance or give us a call at 858.522.9586. Thank you for choosing FatCatWebHosting.com, we appreciate your business!